The human body is meant to move, and sitting for prolonged periods can cause all sorts of problems from muscle strain and back pain, to lack of circulation and energy. In the workplace, these conditions can lead to the loss of productivity. 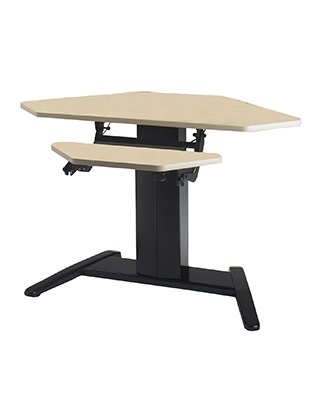 The Mayline E Series height adjustable work stations empower users to vary their positions from sitting to standing throughout the day. This movement promotes a healthier and more efficient work place. Vertical adjustment from 26" to 42"
Data Center Surface: 11" x 27"